Join us for our next Brussels Apache Kafka® meetup on September 25th from 6:30pm, hosted by Big Industries. The agenda, venue and speaker information can be found below. See you there! Building a flexible, scalable, real-time data architecture for the enterprise is no simple matter. Rarely does one single technology suit for all requirements, and frequently many different teams are involved which drives solutions with varying levels of [dis-]integration. 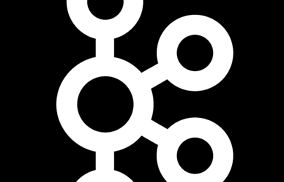 Apache Kafka is a streaming platform that acts as the 'data backbone' for the enterprise. By streaming events into Kafka as they occur, they can be used in any dependent system, in real time or batch. Search replicas, NoSQL stores, caches, graph databases - these all have their place in solving specific requirements, and all need to be fed with data! Kafka is the enabling platform that supports the real-time, high performance, scalable integration of data throughout the enterprise, whilst also providing the messaging capabilities to drive applications directly. This talk will discuss the role and benefits of Kafka in an architecture, the Kafka ecosystem, and several design patterns used to address specific challenges that organisations face with managing their flows and availability of data. Rob is a technical solutions architect with hands on knowledge of Big Data system design, build and operation. He is frequently involved in customer engagement, solution and product design, project management and of course running technical engineering teams. Rob has gained his experience building solutions in varied domains with organisations ranging from upstart to blue chip and can understand and adapt to varied customer needs. During this talk Rob will cover a real customer case where Kafka has been selected as a key component in the setup of an IOT environment. First the rationale for architectural choices will be explained followed by a summary of lessons learned about the operational use and deployment of Kafka in the cloud.